More than a decade into his career, Isai Salmeron ’19 is pursuing an operations and supply chain management concentration at Cal State Fullerton’s Mihaylo College to expand his opportunities in the supply chain field. 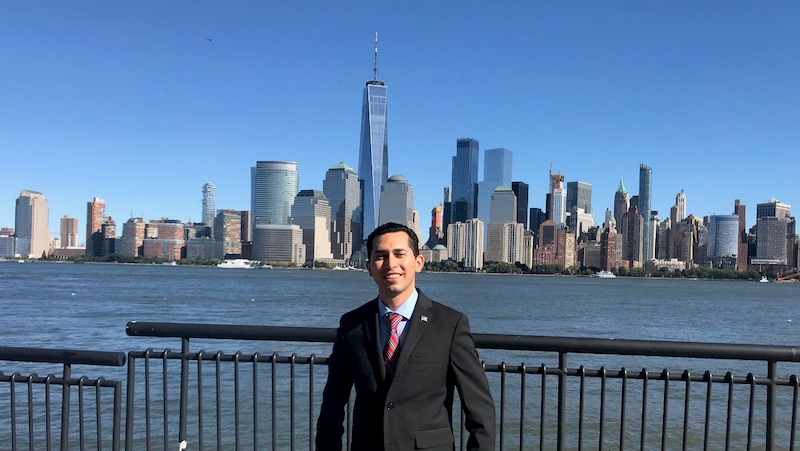 After interning with alumnus-owned law enforcement products firm Safariland in 2018, Salmeron has landed an operations analyst internship with Goldman Sachs for summer 2019. Isai Salmeron ’19 attended a Goldman Sachs panel discussion information session at Cal State Fullerton on March 23, 2018, his first semester as a transfer student. Seeking a career in supply chain management, the adult reentry junior initially felt internship and career opportunities with the financial giant would not intersect with his career path. But months later, the company’s recruiters, who had Salmeron’s contact information from his attendance at the on-campus event, reached out to invite him to an all-expenses-paid internship recruitment event in New York City. “The firm received more than 1,700 applications, and I was lucky to be one out of about 120 who made it to New York. I couldn’t believe it,” says Salmeron, who had his first internship interview at the event. “I stayed in touch with one of my professors, updating him on my experience. He told me something I will never forget, and it changed the way I felt about my situation. He said, ‘You belong there.’ That pushed me to do my best in my interview, and a couple of weeks later, I was invited to the Goldman Sachs Salt Lake City offices for a final round of interviews,” he recalls. 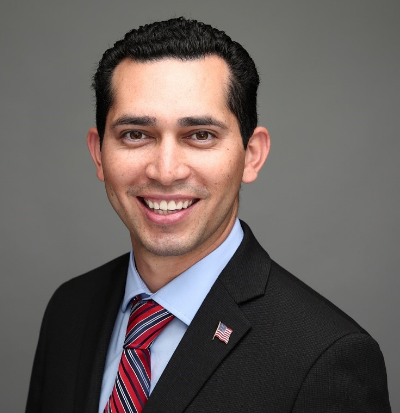 On Nov. 16, Salmeron was extended an offer for a summer 2019 operations analyst internship, which provides an inside look at careers with the company specifically focused on operations-related tasks, such as process improvement activities, writing standard operating procedures and working with business partners. Isai Salmeron in New York City, where he interviewed for the Goldman Sachs internship that he will complete this summer. This summer’s Goldman Sachs internship will be the second such experience for Salmeron. In 2018, he interned at The Safariland Group, an Ontario, California-based law enforcement equipment manufacturer led by marketing alumnus Scott O’Brien ’77. Working with other Mihaylo College student interns, Salmeron helped the company, which is relocating to Florida, implement the management concepts pioneered by automaker Toyota. Salmeron launched his career at Parking Concepts Inc. as a part-time cashier, eventually rising to a location manager. While the young professional enjoyed his position, he sought new opportunities, which led him to earn his bachelor’s degree. More than a year into his student experience at Mihaylo College, Salmeron points to the resources and opportunities he has had access to when encouraging other non-traditional or adult reentry students to pursue an education at Cal State Fullerton’s business college.